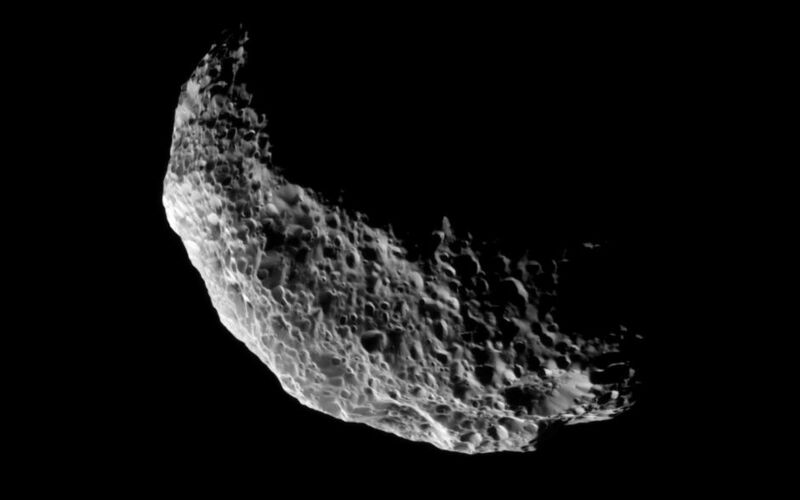 The Cassini spacecraft captures a view of the southern latitudes of Saturn's tumbling moon Hyperion. To learn more about this spongy moon and how it tumbles in its orbit, see PIA06243, PIA07761 and PIA07740. 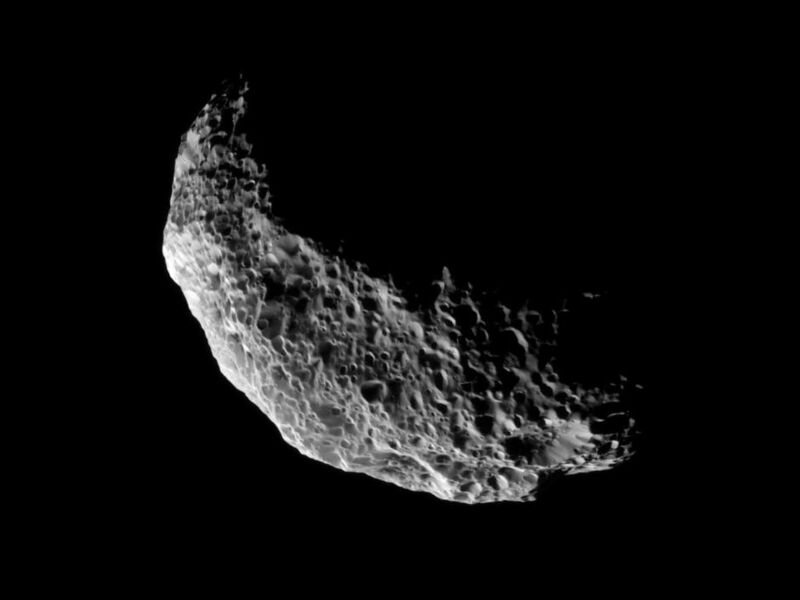 Lit terrain seen here is mostly in the southern hemisphere of Hyperion (270 kilometers, or 168 miles across). The south pole of the moon is near the bottom of the illuminated terrain seen here. 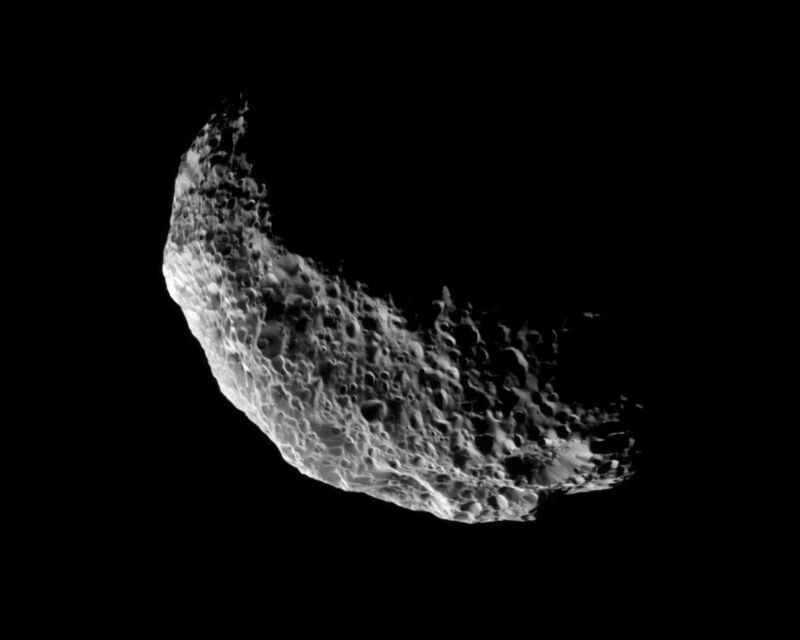 The image was taken in visible light with the Cassini spacecraft narrow-angle camera on Nov. 28, 2010. 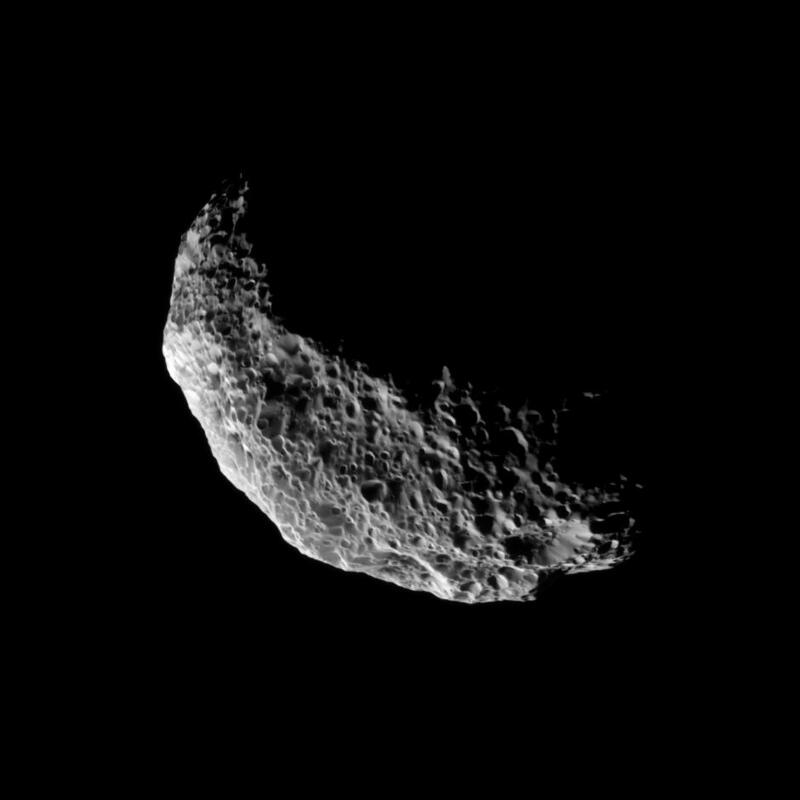 The view was obtained at a distance of approximately 80,000 kilometers (50,000 miles) from Hyperion and at a Sun-Hyperion-spacecraft, or phase, angle of 98 degrees. Image scale is 476 meters (1,562 feet) per pixel.